Carter, Alison Kyra Abraham, Shinu Anna and Kelly, Gwendolyn O. 2016. 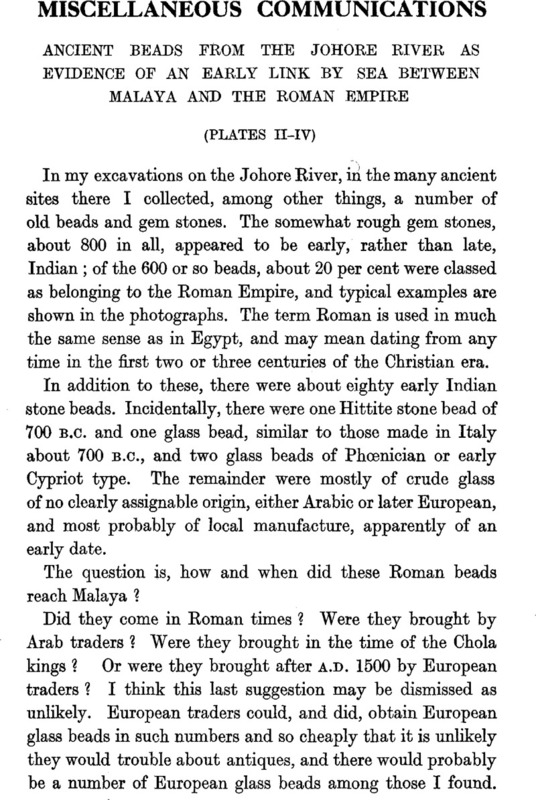 Updating Asia's Maritime Bead Trade : An introduction. Archaeological Research in Asia, Vol. 6, Issue. , p. 1. Page 469 note 1 See The Periplus of the Erythræan Sea, translated by Schoff, W. H., p. 45. Page 469 note 2 Ibid., p. 46. Page 469 note 3 Ibid., p. 47 f.
Page 469 note 4 See Plate III. This model reproduces the type in question.